Fellowship opened its doors in August of 1980 with an enrollment of 30, a staff of 3, and a belief that God should have His rightful place in education. Since that time, FBA has endeavored to help parents raise their children by providing a quality education and Christian worldview based on the Bible. What began 30 years ago as a cooperative effort among several churches, has been blessed by God and has influenced thousands of families. 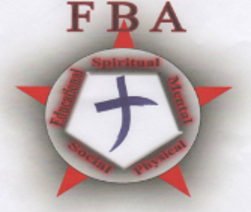 More than 100 graduates have completed their High School education at FBA. Those graduates have continued their education at higher learning institutions such as Cornerstone University, Central Michigan, Michigan State, Cedarville University, Ferris State, University of Illinois, Michigan Tech, and Kettering University, just to name a few. FBA graduates are active in fields such as medicine, engineering, construction, education, missions, pastoral ministries, research and development, business, and technology. We want to praise God for all He has done through the years through Fellowship Baptist Academy.